How do you deal with psychotic religious warriors that believe that they are offering a service to God by killing Christians? Ever since 9/11, we were endlessly told about what a great threat “al-Qaeda” was, but I don’t remember a single time when al-Qaeda ever marched a group of Christians out and beheaded them on camera. ISIS appears to be an entirely different animal than al-Qaeda ever was, and it is about time that we started taking them seriously. But the Obama administration is actually allowing Americans that went overseas to fight for ISIS to come back into the country and resume their normal lives. To me, that is absolutely insane. These are people that believe that they score major points with their god when they kill us. And they especially seem to relish the opportunity to kill Christians. 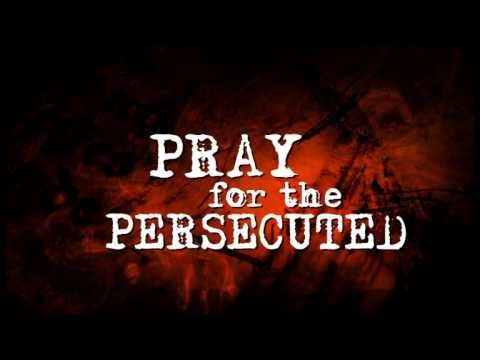 Sadly, this is all part of a rising trend of Christian persecution all over the planet. Christian churches are being burned to the ground in places such as Egypt, India and West Africa, and earlier this month we witnessed a horrific incident during which more than a hundred Christians were mercilessly gunned down in Kenya. It is becoming increasingly dangerous to be a Christian, and it is only going to get worse in the years ahead. They will not stop fighting until we all embrace Islam. Not much room for negotiation there. Meanwhile, other Islamic groups all over the planet are starting to take their cues from ISIS, and this is resulting in a rising tide of violence against Christians. Who in the world would do such a thing? The only reason those 12 people were killed was because they were Christians. “The Italian police have arrested 15 Muslims for throwing 12 people overboard and watching them helplessly drown in the Mediterranean,” said Rev. Graham in an Apr. 17 Facebook post. It took only a few hours, but it was enough time for hundreds of radical Muslims in Niger, West Africa, to destroy dozens of churches and several Christian homes. Ten people lost their lives and hundreds were injured when Muslim mobs went on the deadly rampage in early January. In most of these attacks around the globe, those involved do not believe that they are doing anything wrong. Rather, most of the people involved in this violence believe that they are actually offering a service to their god. And the tide is turning in the western world as well. I don’t know if you have noticed, but it is quite socially acceptable to make jokes about Christians and to portray them as bad guys and lunatics in movies and on television shows. Evangelical Christians are even being labeled as “potential terrorists” in official government documents, and every trace of the Christian faith is being pushed out of public life in the United States. I discussed how this is being done in the U.S. military in this recent article, but just about everywhere you look Christianity is being pushed into the shadows. The disdain for the faith of our forefathers has reached a crescendo, and it is not going to be any easier to be a Christian in this country in the years ahead – that is for sure.